Janmashtami was celebrated with great élan in our part of the world. Janamashtami marks the birth of Lord Krishna. Krishna epitomizes unconditional love. Krishna is absolute. To understand Krishna is to understand the reality of life. His teachings tell us to accept all contradictions and act accordingly and not complain because; no one has a right to the end result. He tells us to live without ego. To be egoless is to be nothing- this is absolute reality, this is Krishna. 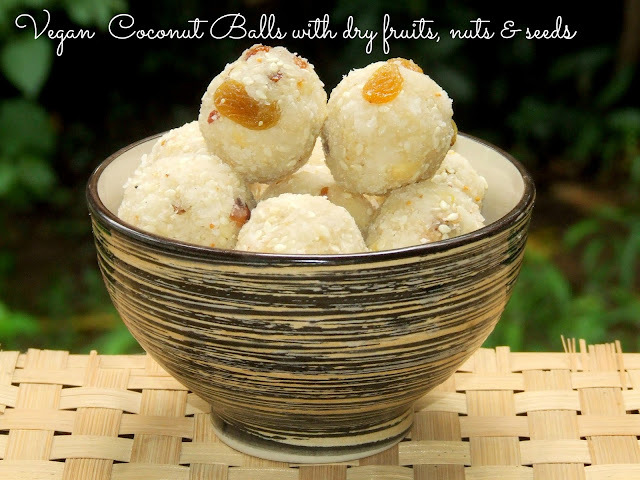 This Janamashtami, we made Coconut laddus to offer to Lord Krishna. 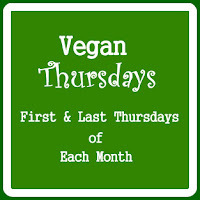 I added a handful of all the dry fruits and nuts and seeds that I could find at home. These laddus turned out to be chewy and coconuty and were delicious. We enjoyed the prasad very much. In a deep bowl mix together desiccated coconut, chopped nuts, raisins, figs and seeds. Peel the cardamoms, powder the seeds and add to the mixture. Take sugar and water in a heavy bottomed steel wok. Turn on the heat. Let the syrup simmer till it becomes thick and just reaches one string consistency. Turn off the heat. Add coconut mixture and stir well so that the syrup and dry ingredients are mixed well. Let it rest till it cool downs a bit and it is comfortable to make laddus. Take about two tablespoons of this mixture and press between palms evenly to get a walnut sized laddu. Repeat till the mixture is over. It is very important to get the right consistency of syrup. Laddus will not bind well if the syrup is not of one string consistency. If the syrup is of two string consistency, the mixture will harden even before you begin to make laddus. However, you can add water and boil the syrup again to get the desired consistency. They looks like snow balls..Very cute and prefectly rolled laddus..
Amazing effort Namita. 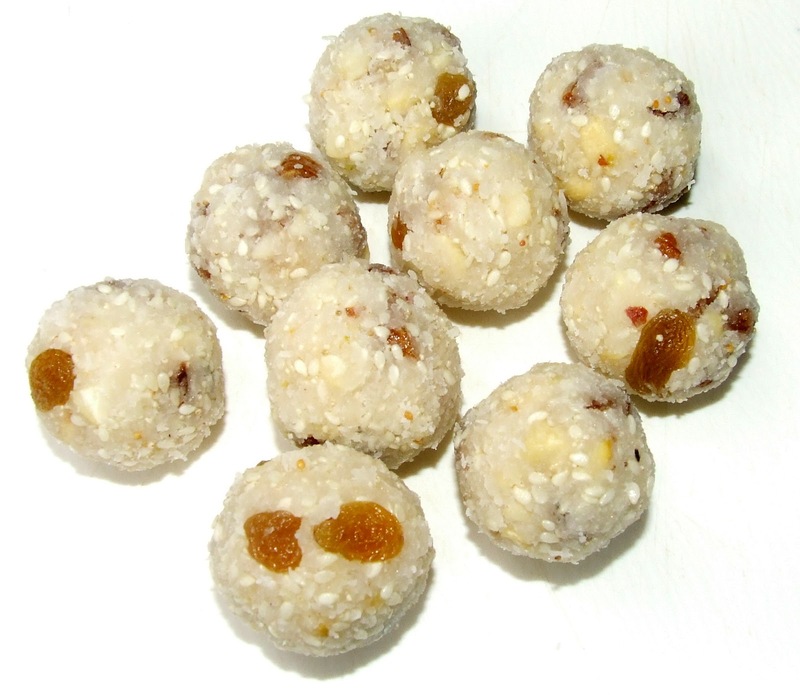 Though personally I do not like coconut ladoos, they are such a wanted treat at home. Nice post thanks for sharing your information.